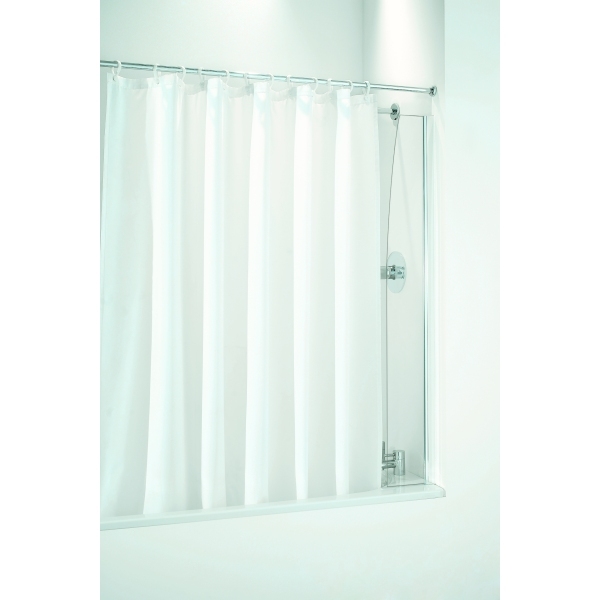 Coram Bathscreens are simply the best bathscreens you can buy. Unique levelling system makes them faster and easier to adjust than any other bathscreens. A single screw can be adjusted to ensure that it fits perfectly in line with the rim of the bath. This is simply a fixed short panel, for use together with a shower curtain. It can be silicone sealed where it fits to the bath, in order to provide effective screening where a shower curtain cannot, because it falls within the curve of the bath. Push on transparent polymer seal that can be easily removed for cleaning.